America’s Dog Show is bark back! Head to Madison Square Garden to see some of the finest canines around at the 135th Annual Westminster Kennel Club Dog Show. 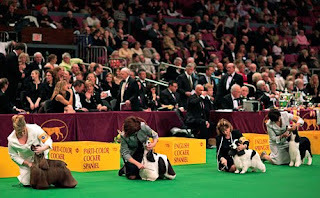 The two-day event is an exclusive exhibition of 2,500 champions-only dogs where experts will judge the best breeds, best toy dogs, and the top dogs in sporting, non-sporting and herding groups... and of course crown Best In Show!